The number of bilingual students on SLP's caseloads are growing. 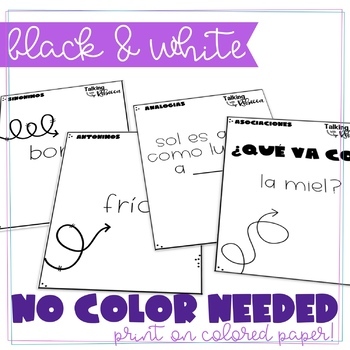 Spanish speaking and Spanish dominant students need speech therapy materials, too! 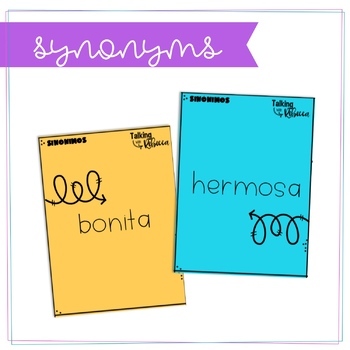 Unfortunately, there is a lack of materials available in Spanish. But don't fret! 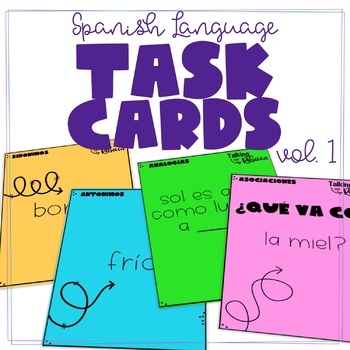 This packet includes four decks of task cards to target multiple language skills for Spanish-speakers. In order to be used with elementary school students of varying ages and ability levels, each deck contains easier and more difficult cards. Additional blank cards are provided in order to customize decks and create your own pairs. 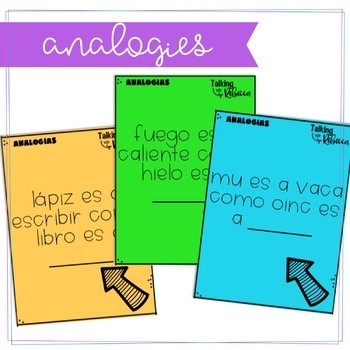 Answers are provided for each item in this packet.